Bangladesh Prime Minister Sheikh Hasina was on a four day visit to India from April 7 to April 10; her first bilateral visit in seven years. Bangladesh goes to elections next year and market watchers expect stronger bilateral economic and strategic engagement in the meantime. Investments in building trade and connectivity with Bangladesh holds many objectives. It is highly beneficial to the development of India’s northeast states and serves India’s foreign policy goal of balancing China’s presence in the region. India is investing an approximate US$9 billion into Bangladesh, securing a strong economic and political partner while showcasing the country’s ability to lend assistance. The two countries signed 22 agreements in various areas that saw the participation of both private and public sectors in India – in defense cooperation, hydrocarbon sector, civil nuclear cooperation, cyber security, power cooperation, skill development, and developmental cooperation, among others. India is avidly trying to maintain its sphere of influence from an encroaching China who, last year, promised Bangladesh US$20 billion in investments. The promised investments will also increase India’s presence in Bangladesh’s energy sector and foster stronger connectivity between the two countries – adding to greater business and development opportunities in India’s northeastern states. Over the course of Hasina’s visit to India, the two countries signed a total of 16 Memorandums of Agreement (MoUs) and six other agreements. India has committed to financing a diesel pipeline from Numaligarh (Assam state, India) to Parbatipur (Bangladesh). India and Bangladesh agree to ‘border markets’ (haats) on the Indo-Bangladesh border. Pact on Defense Cooperation Framework between India and Bangladesh. Where will these developments be felt? The most important outcome of Hasina’s visit is India’s offer of US$4.5 billion for various infrastructure and development projects, which also marks the largest single line of credit India has ever extended to another country. India is strengthening its commitments to Bangladesh while attempting to reassert its role as a frontier power in South Asia in the backdrop of China’s increasing reach. Stronger regional connectivity and infrastructure growth will encourage the flow of more people, resources, and goods between the two countries, and is sure to have a positive impact on the Indian states that border with Bangladesh. The diesel pipeline going from Numaligarh in Assam state to Parbatipur in Bangladesh, for instance, will help develop a promising yet underdeveloped region. Assam is one of the ‘seven sister states’ that makes up northeast India – a small yet resource rich region. 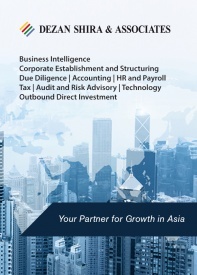 The northeast acts as India’s ‘gateway’ to the ASEAN states, and India is already working to increase the region’s connectivity with these states through Thailand and Myanmar. Further links to Bangladesh will help establish the northeast region as an economic hub, providing channels for the development of its many untapped resources. The agreement to build a navigable inland waterway (fairway) on the Ashuganj-Zakiganj stretch of the Kushiyara river and the Sirajganj-Daikhawa stretch of the Jamuna river on the India Bangladesh protocol route will reduce the logistics cost of cargo movement to northeast India. This in turn will lessen the present congestion along the Siliguri ‘Chicken Neck’ corridor that connects Bhutan, Nepal, Bangladesh, Sikkim, Darjeeling hills, northeast India, and the rest of India. Stronger relations between the two countries also means increased stability across borders and more commercial movement on India’s trade routes with Bangladesh. 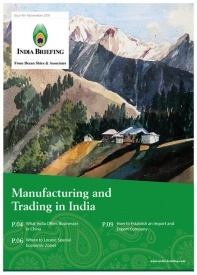 Watch the northeast states of India as well as frontier cities in West Bengal as commercial activity and new opportunities for regional trade continue to improve. 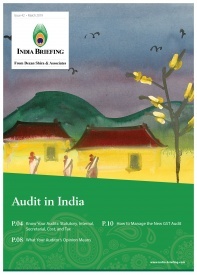 In this issue of India Briefing Magazine, we look at India’s living and working environment, HR and payroll laws, and the taxation norms as applicable to foreign nationals. 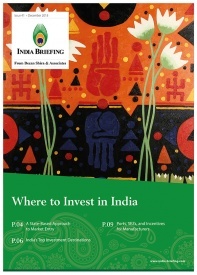 India is the second most favored destination for expatriates that want to work in the emerging markets. Expatriates should take note of the basic social and welfare concerns as well as the regulatory and tax issues that apply to foreigners that work in the country.